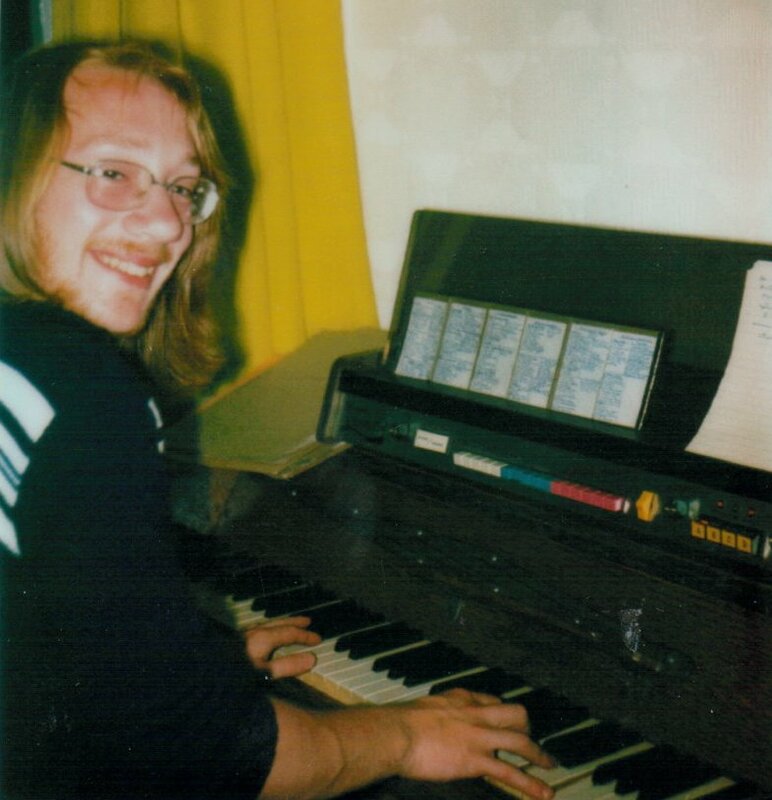 Andy started playing the piano at the age of four, however unlike many 'child prodigies' he was not intruduced to the instrument by his parents. Although both music lovers they were not musicians and did not own a piano. It was on regular visits to his aunt that he would slip into the 'front room' to play her piano (whilst his parents were chatting), that his talent was first discovered. On the strength of this the family saved up to buy him a piano. 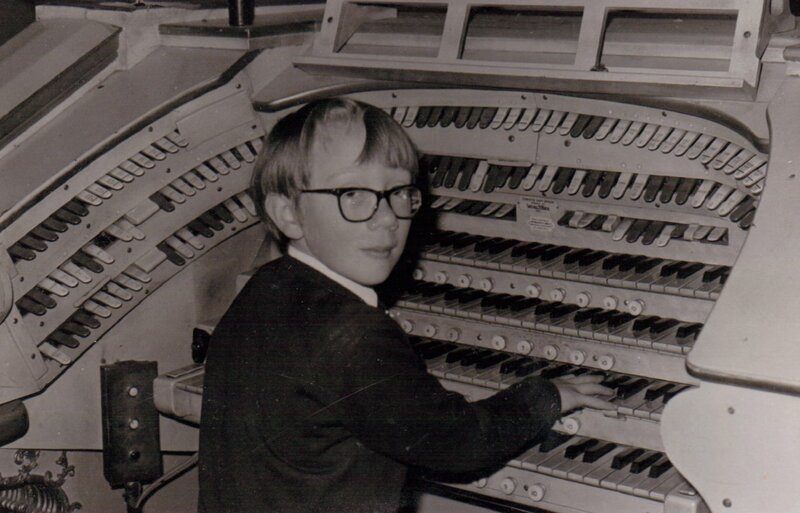 The cost of this coupled with music lessons was a struggle for a working class family in London in those days, but Andy made very rapid progress through the classical piano grades and had already given public performances and featured in local press by the age of ten. However it was not until the following year, after the death of his mother, that his talent for improvisation was fully realised. 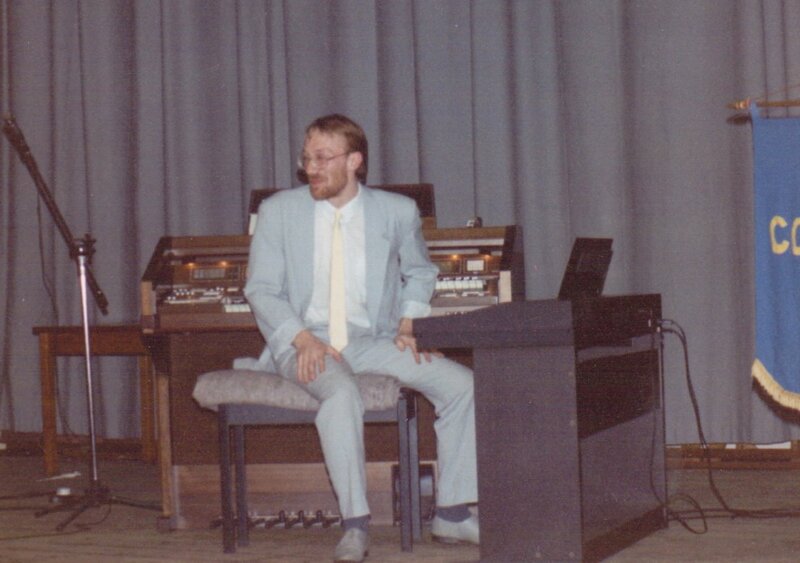 He was heard in concert by Roy Bentley, general manager of the Hutchinson Cinema Group, and invited to play both piano and organ to accompany screenings of silent movies. (Thus in the early 70's his career composing music for film and tv had already begun). 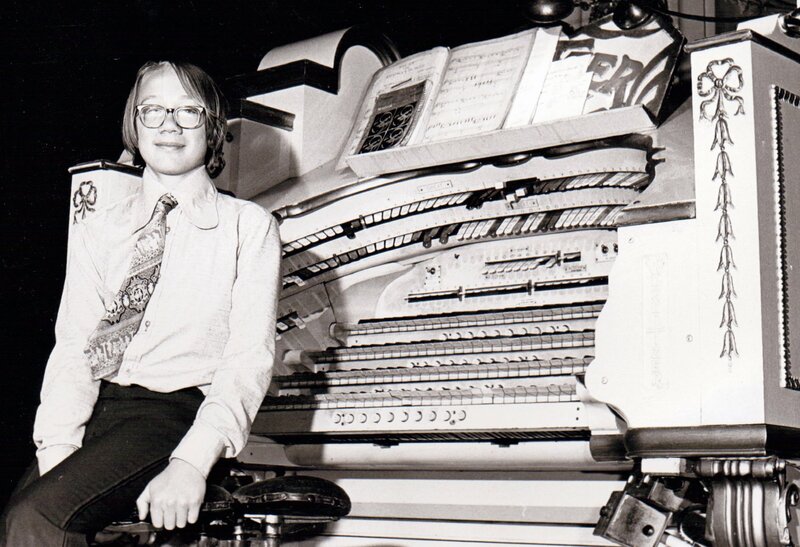 He was following in the footsteps of greats such as 'Fats' Waller, and Sidney Torch and it was actually on Torch's own famous Christie organ at the Regal Edmonton that Andy developed his interest in ragtime music. Andy continued to perform in his teens both as a soloist and in various bands and combos. 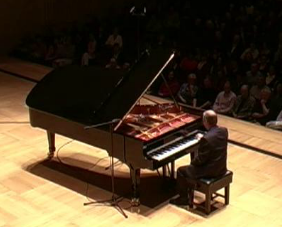 He turned down a scholarship to the RCM early in the 70's as his interests in music broadened and the emphasis of his studies turned towards composing as well as live performance. He performed in a number of bands whilst at Keele University and studied jazz with proffessor Cecil Lytle from USCD. 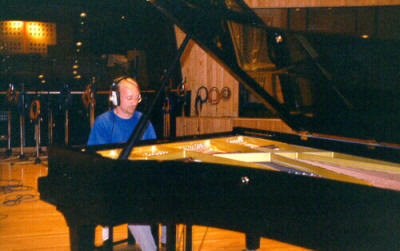 Andy Graduated in 1982 and embarked upon his career composing and recording music for film and tv. 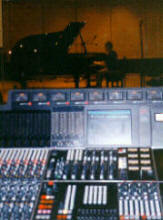 His piano playing and compositions can be heard on numerous soundtracks all over the world. Highlights include his stride piano track Arty Stride on the Oscar nominated film My Architect and more recently early jazz tracks in the US hit series Boardwalk Empire. 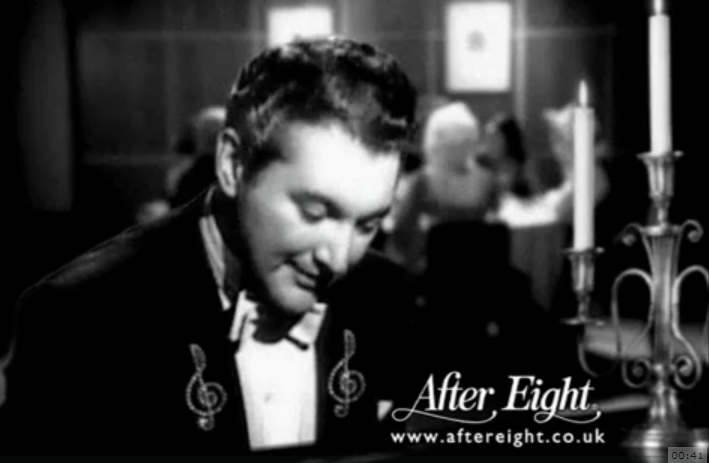 Click on the picture to see the classic After Eight advert where Liberace is miming to Andy's piano playing!